Hi All! 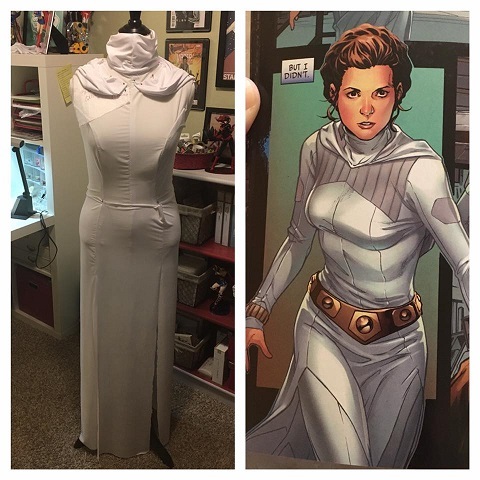 I'm currently working on the Leia outfit from the new Marvel comics. I'll add some images below and the start of the outfit. There is no standard for it as of yet - but I thought I'd attempt anyway. Was looking for feedback. 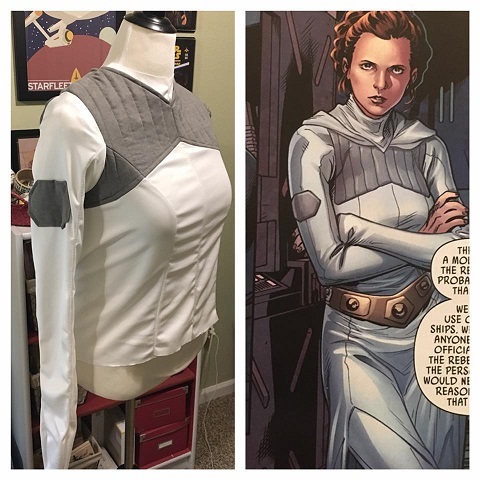 I'm hoping to at least wear it to celebration - but it would be super awesome to eventually get a standard for it so I can use it for admission. 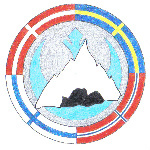 There are two separate types of images below. The ones with a full dress are my samples - sample fabric and using my draped pattern. The ones with the quilted grey are the actual pieces - there are still some finishing touches including after final alterations princess seams to reduce some of the issues at the seams. I'd love any feedback you might have - I'll continue to post progress anyway because its a fun outfit. 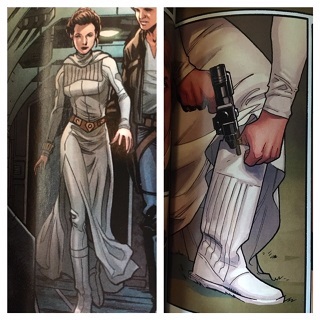 I can post further images from the comics. (There's a bit of inconsistency based on the artist interpretation frame to frame and comic by comic) - so I'm trying to come to a consensus on what it should look like by pulling together the best elements. 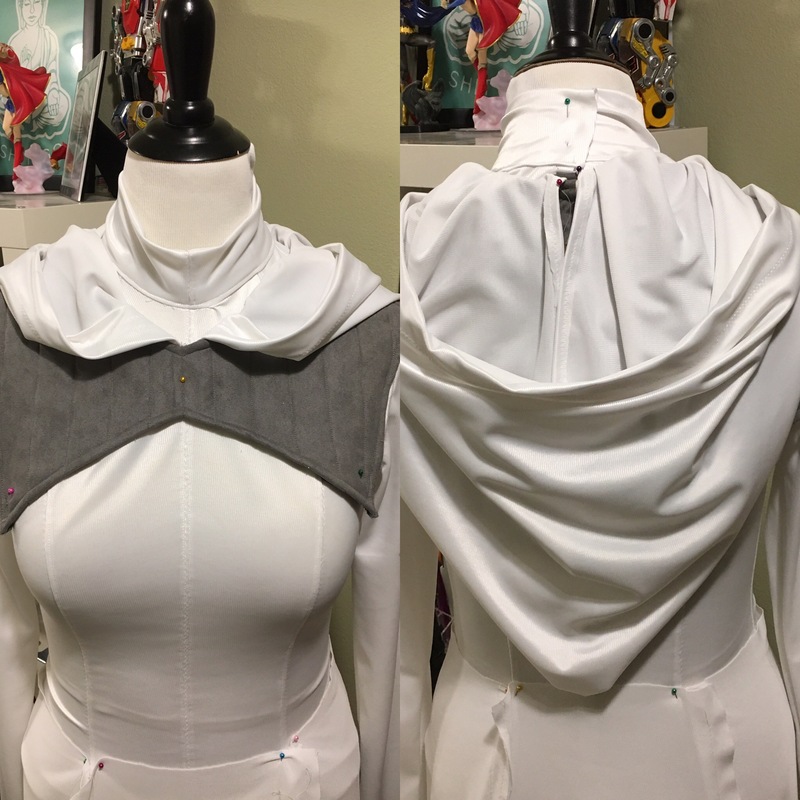 *the hood drapes too low on the back so it will be pulled back up - it will be styled after her senatorial gown when complete. *the belt will just be an aged bronze version of the senatorial belt as well. So same materials just different colors. *again the seams will be princess to prevent the buckling on the front. I personally love this. 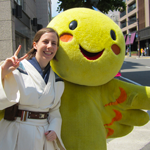 It is Leia, but unique. Even without a standard you can submit, you just have to send your references along. First question: The references you have posted doesn't seem to have the grey piece going under the arm, but your design does. What is your reasoning behind this? It does seem to lie on top of the dress as it's own piece. Hi Lora! You are correct - though in other references it does go under the arms. 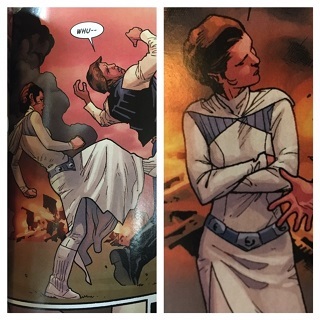 That's what I was saying about the same outfit being drawn differently in different panels (sometimes even in the same comic) so I've been taking the most sensible pieces and running with it (with this one it wasn't as awkward just having the panel just end - it caused puckering and and to lay weird on the chest). 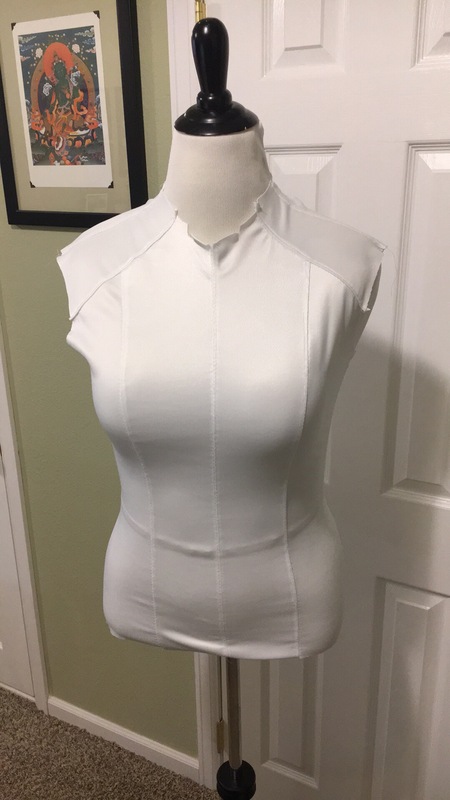 However, it is something that I can adjust - I'm thinking I need to rip the seams out anyway to correct some of the puckering - removing the underarm piece is super easy at that point. I'm so excited you're doing this! I was just admiring this outfit the other day. The thing with comic costumes that shift in various panels is that as long as you can justify what you are doing with reference images, you're pretty much good. Can you share some references where that gray strip goes under the arm? It looks fantastic so far. I love this so much! Please keep us posted on your build. It looks amazing so far. Based on some of the feedback in this group -- and my own desire for perfection, I started over. 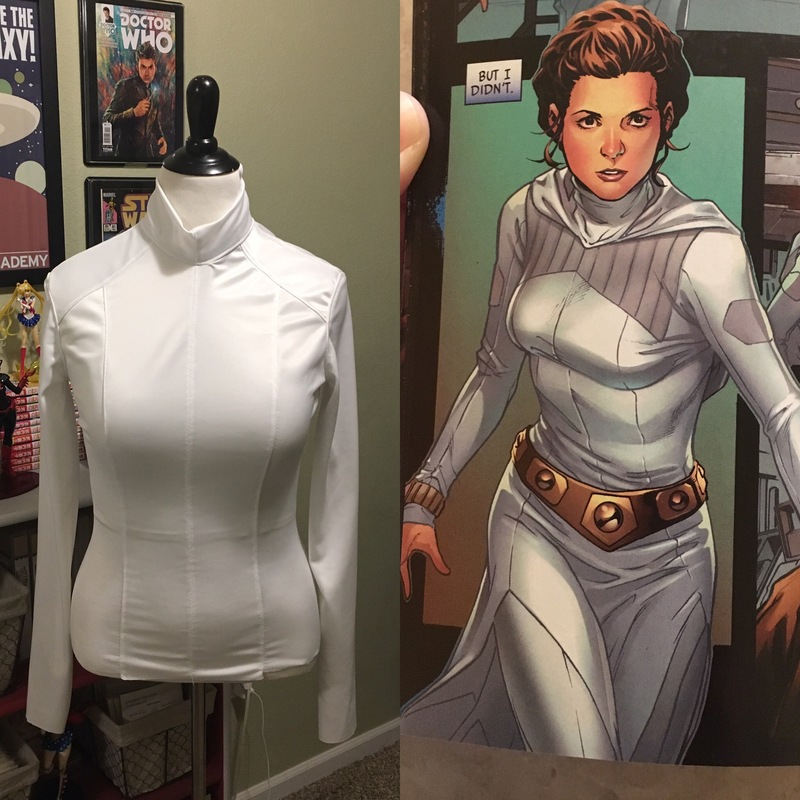 The bodice is now an actual store bought pattern for a workout sweatshirt. 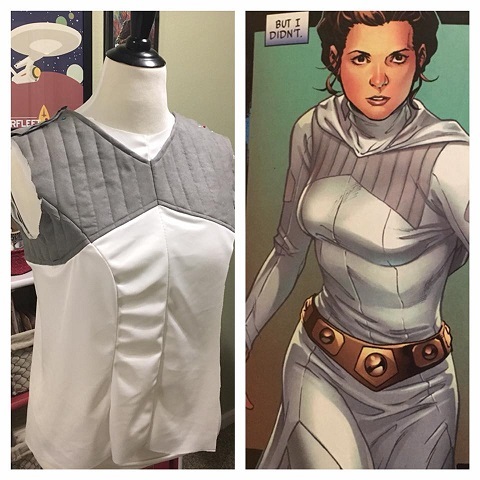 I started with making the bodice and then will add the grey quilted detail instead of attempting to sew it all at once. The bodice now fits much better - provides extra length so I can appropriately attach the skirt and only took me about 4 hours to this point. Sleeves and collar are all that's left. Will post more progress over this week. I'm hoping to finish the dress and pants (which will be a patterned yoga pants). That should leave me the boots and belt which I'll be going with the goldish/bronze seen above. You've done such an impeccable job with all of the seam lines. It looks so clean. Very nice! I've been doing research and planning on making this one myself. Thanks for sharing! I agree with Jenna; they look very nice. I hope it all turns out well. Additional progress has been made. The shirt was remade - grey detail adjusted and hood created. Getting closer! 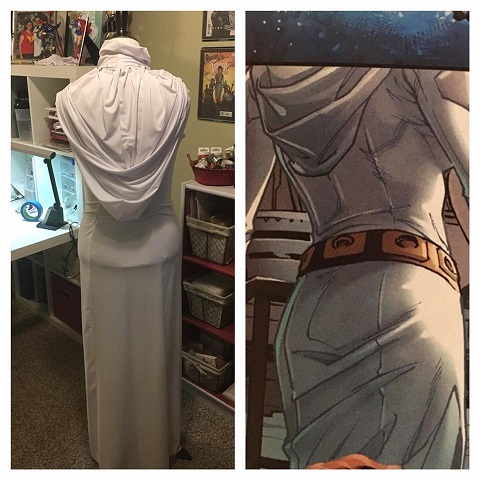 I've been attempting to take progress pics in case someone else wants to try the same costume. This is absolutely beautiful! You've done an amazing job. I may want to tackle this in the future. What pattern did you use for the top, please? Great progress. It looks very nice. Perhaps these images can help for reference or making a standard? the placing of the bands looks more consistent in these panels.